Pick a handler/babysitter for your sweet puppy. There are a million things going on on your wedding day and the last thing you want is a yellow puddle on your pristine white wedding dress. 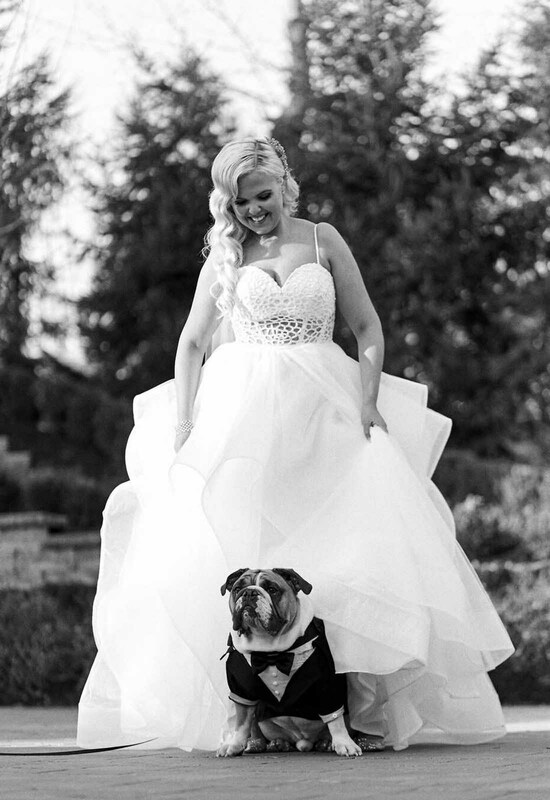 Pick someone your pooch loves to keep watch over them on your special day if you decide to include them. They can keep them busy and take them out for much needed potty breaks when necessary. Decide when and how you are going to include them. 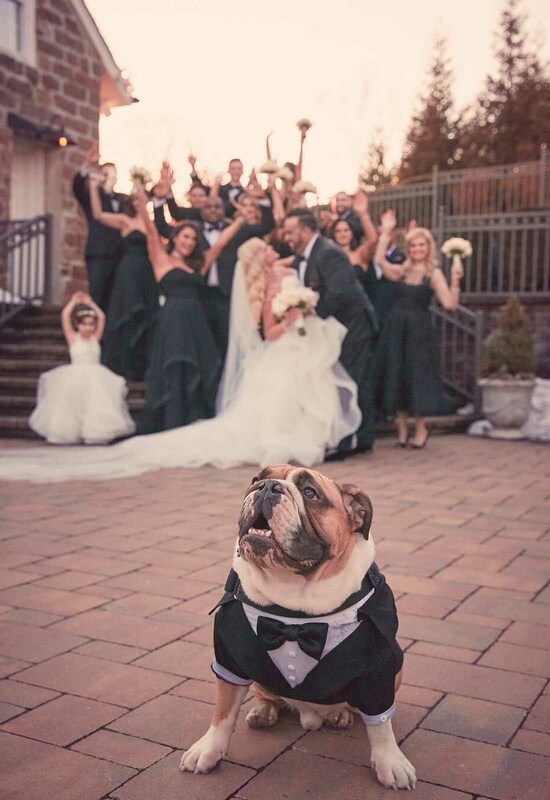 Are they just going to be in a couple of your wedding photos or will you have them being the ring-bearer in the ceremony? Perhaps they are a special dancing partner at the reception? However you choose to include them, make sure they are familiar with the location and their possible role in the ceremony. This will help them be more calm, relaxed, and confident when the big day finally comes. Lastly, be understanding. They are still dogs after all and so things may no go according to plan. 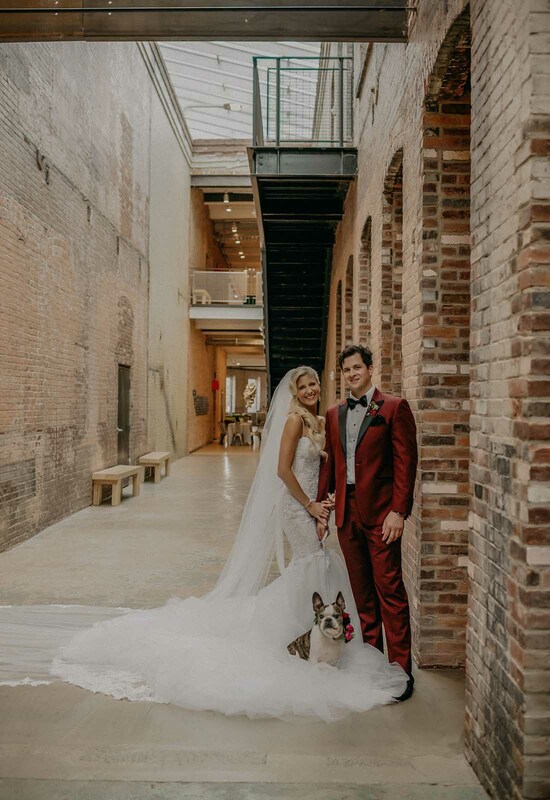 Realize that you still love and adore your special pup and that you would rather have them there with you enjoying your special day than not. 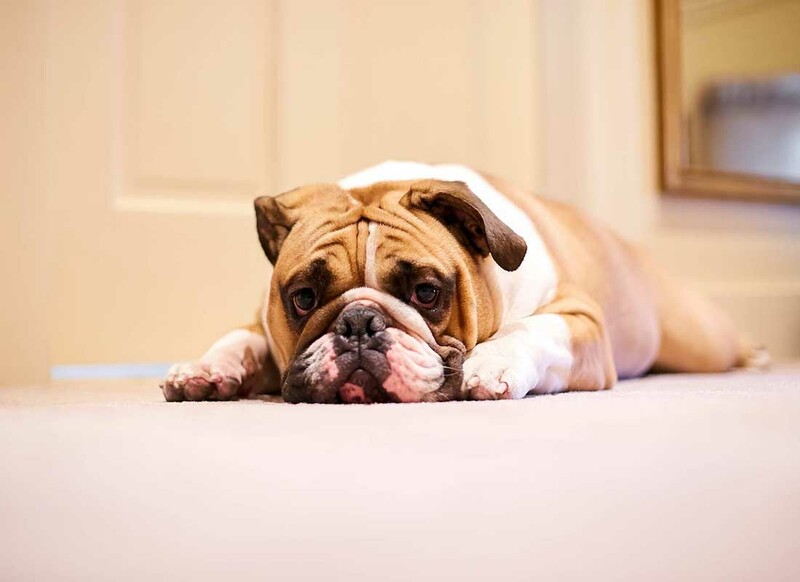 Pamper that sweet pooch with tons of treats, and they will be as happy for you as any other guest. 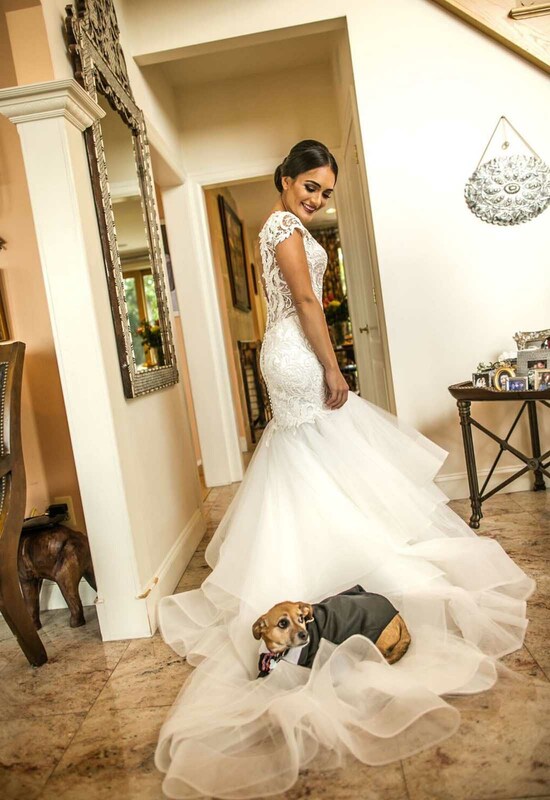 We can't imagine our lives without our beloved fur babies so why should your wedding day be any different? 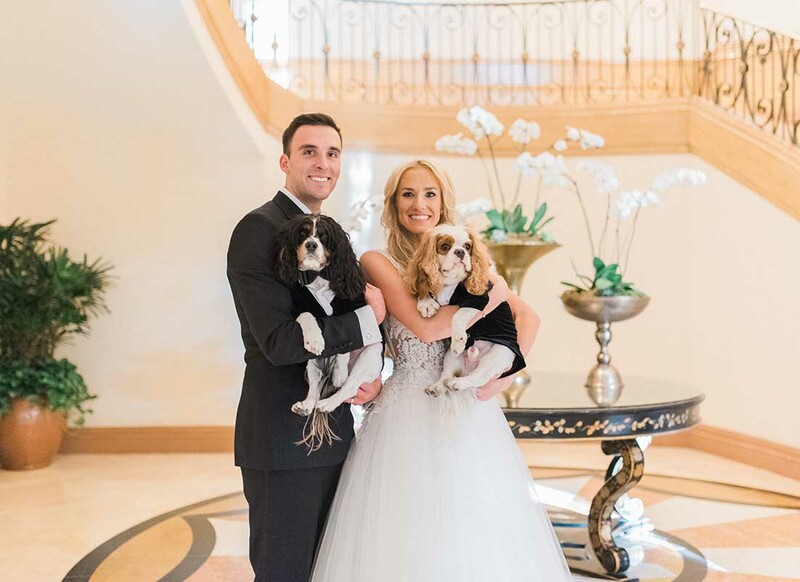 They are our loyal companions and having them share in this special day will be a memory that you will cherish for the rest of your life. 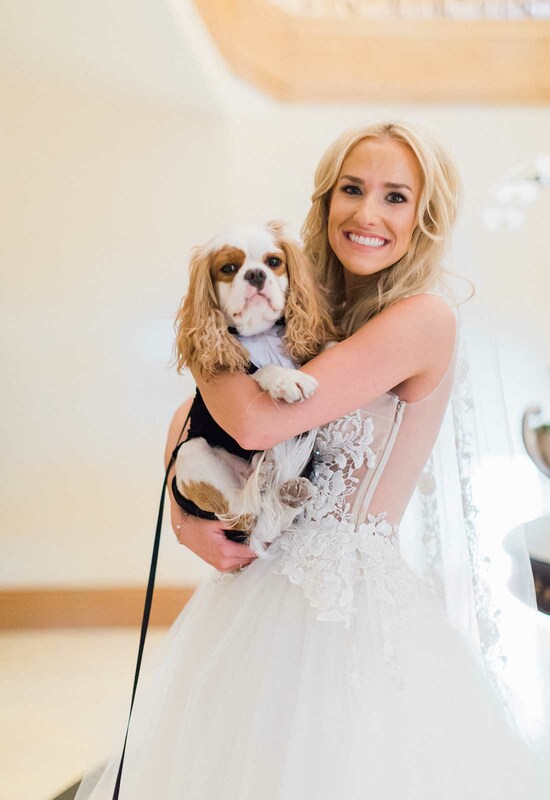 Just watch for the biting and the potty breaks and you and your Pnina Tornai wedding gown will be just fine!